Posted 20:43 by Rich Davies & filed under Everything else. Saw this on the weekend and couldn’t help but take a photo. That’s WARM white on the left and COOL white on the right. 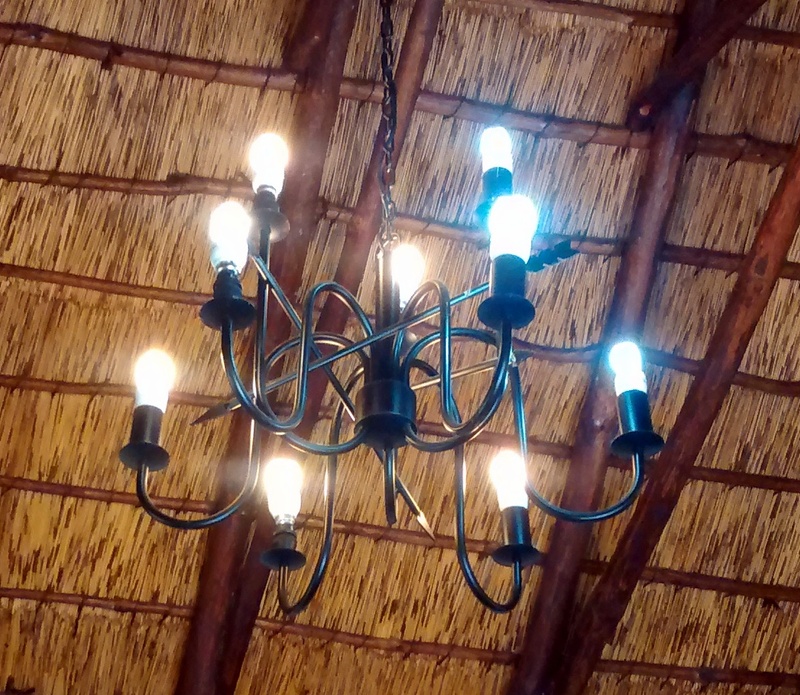 It’s a common mistake people make when saving power making their otherwise beautiful lights look a little naff! Different energy saving bulbs are often different colours. The difference between one manufacturers’ WARM white and another isn’t too great, but the difference between Cool White and Warm white is noticable. When you have multiple bulbs on one light-fitting it can look really bad! Just a quick check of the label on the bulb would have probably prevented this mishap. The picture (right) really highlights the difference between COOL white and WARM white for CFLs. If I can get hold of some, I’ll try to show the differences between LEDs later this week! Lots of experts say that you should use “warm” white in any lounge setting and cool light for ‘task’ lighting. Let us know your opinions in the comments below. CCFL’s are horrifically bad for the environment. We should skip them completely and go to LED. You can buy most lighting in different color temperatures. I usually go for a lower temp light. Yellow is 3000-3200K, Blue White around 6000k. Newer LED can be remotely controlled. I have some that I can control with my iPhone, gimmicky, but interesting to show off to people. Same goes for LED’s of course, most of them come as either Cool or Warm white, so it’s important to co-ordinate!